Thursday, November 21 is the Great American Smokeout (GASO), a national event started by the American Cancer Society to encourage tobacco cessation by establishing an official quit day. . Wellness staff members from the Faculty Staff Assistance Program are promoting GASO at Emory by encouraging employees to use the day to quit. On Nov. 21, staff from the Faculty Staff Assistance Program will join together with wellness champions from individual schools and departments, to hand out candy flags made of Twizzlers, promote alternatives to smoking, and educate people about the cessation programs that are available at Emory. 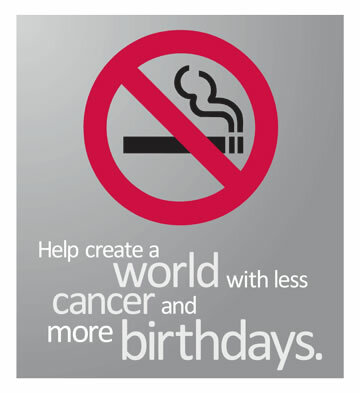 FSAP is also encouraging smokers to take an online pledge that they will use this day to try quitting. Non-smokers can also take the pledge to give up one of their own unhealthy habits to show support for their friends and co-workers who are trying to quit tobacco. Results and words of encouragement from the pledges will be posted on FSAP’s Facebook & Twitter pages. Anyone who takes the pledge by noon on Nov. 21, whether they are a smoker or non-smoker, will be entered into a drawing to win a pair of AMC movie tickets. To take the pledge, go to: http://www.surveymonkey.com/s/3HYV9HG. For an entire listing of GASO events, visit FSAP’s web page.